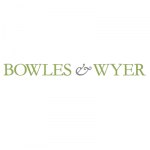 Based near Tring on the Hertfordshire Buckinghamshire border, Bowles & Wyer have become leading landscape and garden designers and contractors, working throughout London, Central England and the South East, working particularly on high end projects. The business has been growing steadily over the last 25 years to its current position at the top of the industry, crowned by winning the BALI grand award for the second time in 2018. The passion for strong design, expert craftsmanship, horticulture and skilled aftercare continues, and the firm’s belief in strong teams is demonstrated by the growing number of people to help support this vision.